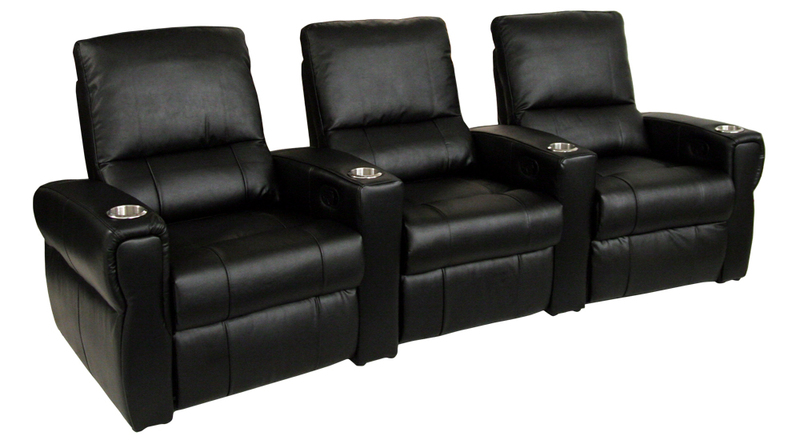 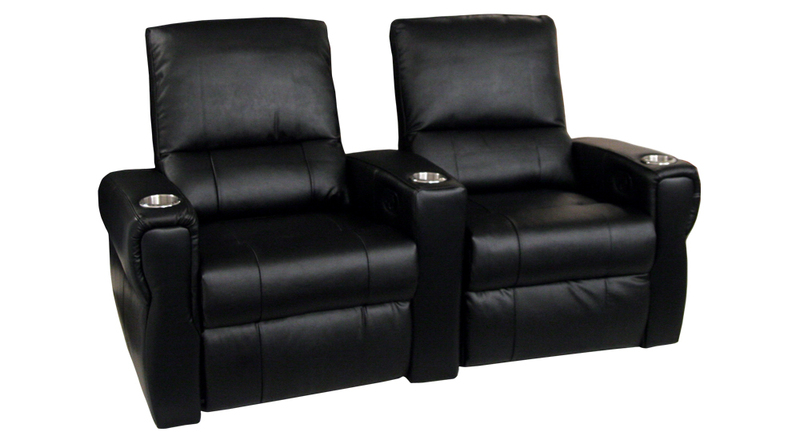 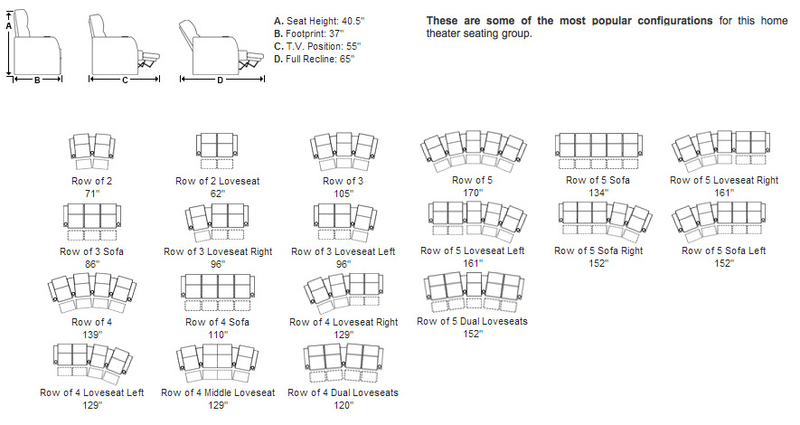 Seatcraft Pallas Home Theater Chairs are a superb, stylish addition to any home theater. 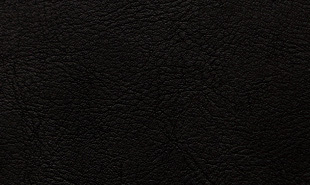 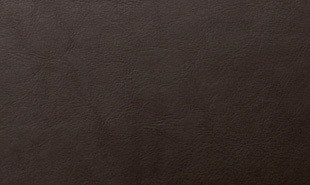 It comes in brown or black leather, which imparts the seat a luxury look even as the colors will match virtually any décor. 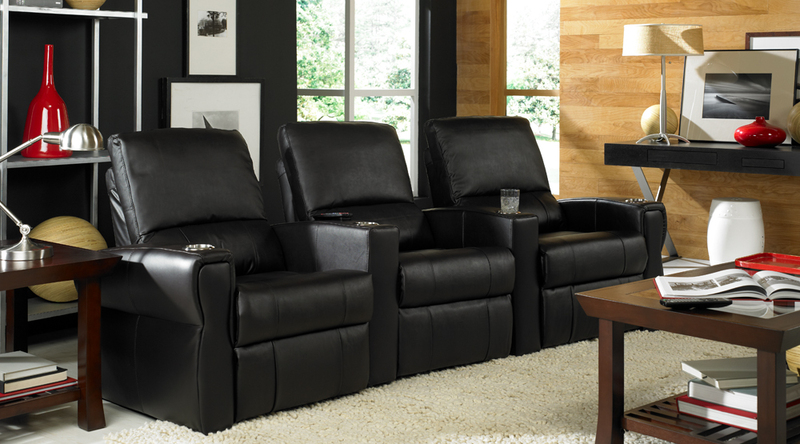 The chair’s most identifiable features are its soft cushioned seats, padded armrests, and two-section backrest. 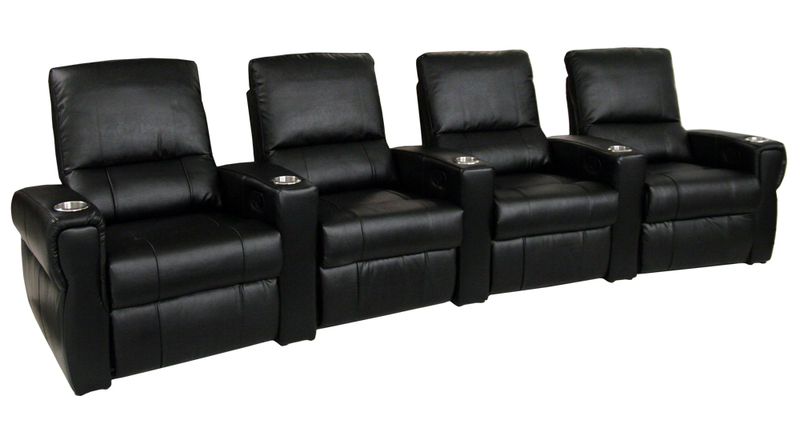 The wedged armrests are a distinct design feature that allow rows of seats to gently curve for a genuine theater ambience. 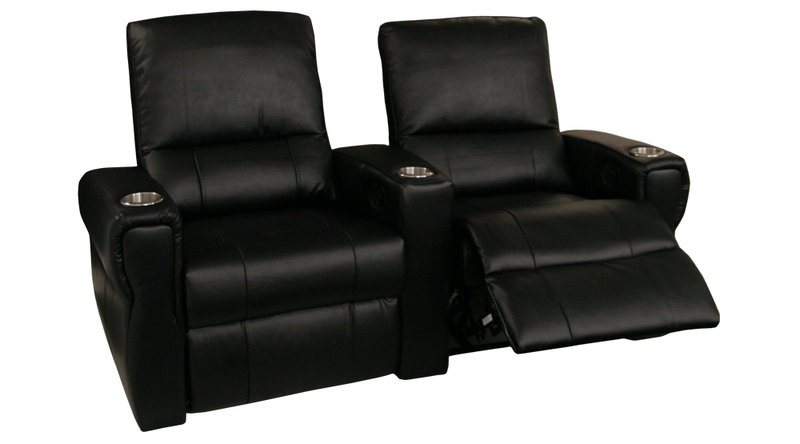 Chaiselounger footrests furnish comfortable leg support, which will let you lounge in pampered elegance from head-to-toe. 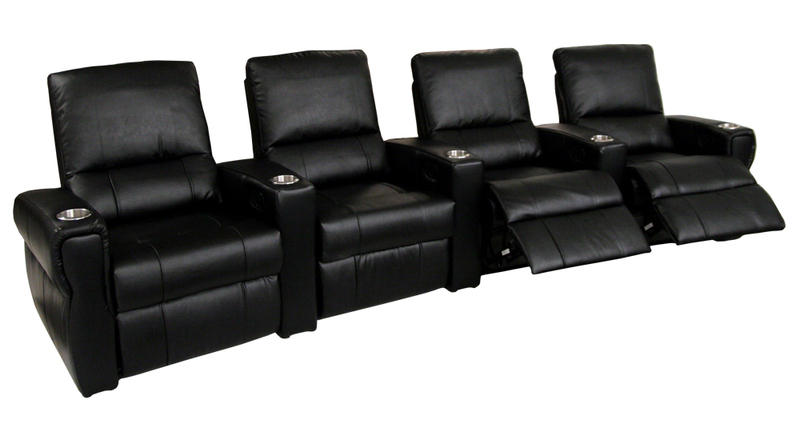 Wall-hugger seating ensures that the seat can stay in full recline, even while just three inches from the wall. 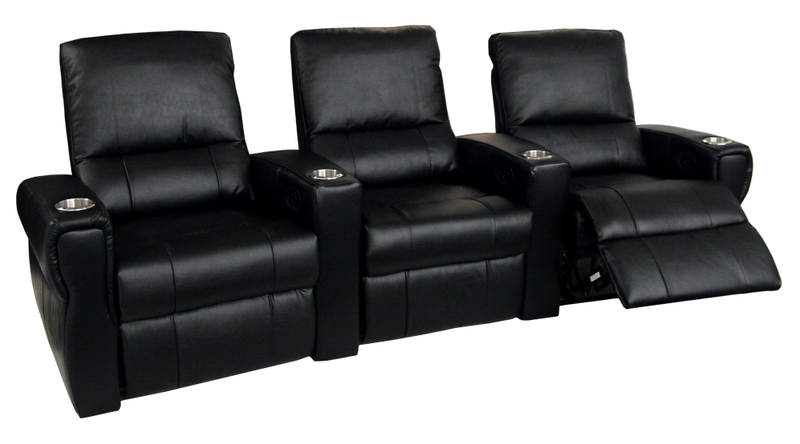 With added cup holders and an easy to operate manual recline, the Seatcraft Pallas is a genuine value that you won’t want to miss.